GORGEOUSLY UPDATED 2 BED/2 BATH CONDO WITH GREAT MOUNTAIN VIEWS & ITS OWN DETACHED GARAGE. 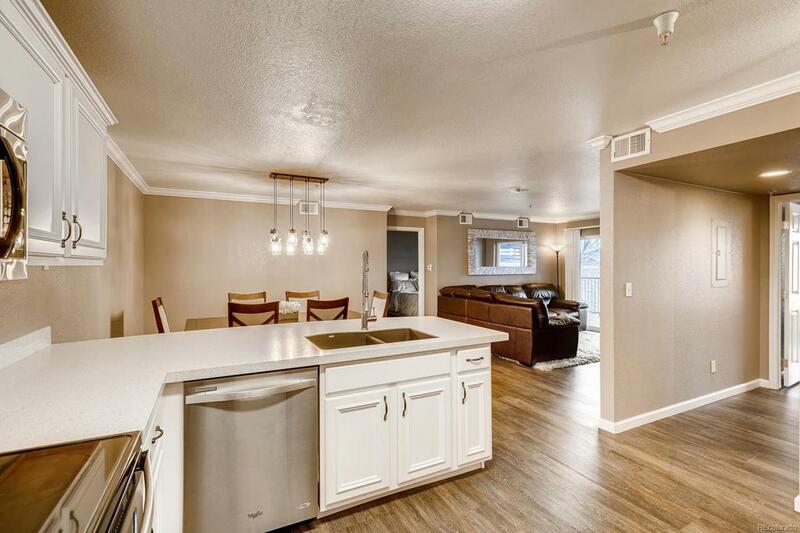 THIS UNIT FEATURES A BEAUTIFUL KITCHEN WITH QUARTZ COUNTERTOPS & STAINLESS STEEL APPLIANCES. SPACIOUS MASTER SUITE HAS A COMPLETELY RENOVATED MASTER BATH. NEW FLOORS THROUGHOUT UNIT. LARGE DINING ROOM AREA WITH UPGRADED CHANDELIER. LARGE OPEN CONCEPT THROUGHOUT MAIN LIVING SPACE GIVES YOU PLENTY OF ROOM FOR ENTERTAINING OR WATCHING THE BIG GAME WITH EVERYONE. THE COMMUNITY HAS A CLUBHOUSE, FITNESS FACILITY AND POOL. CONVENIENTLY LOCATED CLOSE TO HIGHWAYS, SHOPPING & RESTAURANTS. DON'T WAIT TO SEE THIS UNIT, CALL YOUR AGENT TODAY TO SETUP YOUR PRIVATE SHOWING.